Blog Comments Off on 10.2016 The plantation is ready for Customers! The plantation looks as if Christmas was already here! 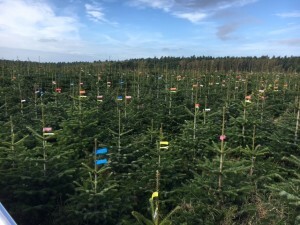 The trees are decorated with colorful labels which denote size, quality class and sometimes even specific customers. Do visit Roszczyce and select the most beautiful trees! You are most welcome!